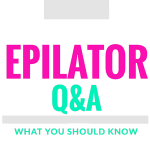 The most asked question I get asked is “do epilators hurt” or “is there a way to make it hurt less?” It’s no secret that because epilators remove hair at the root, you are going to feel something regardless of your pain tolerance even with one of the best epilators. Is there a less painful way to epilate? I put several theories to test by actually testing them. I found myself looking at the weirdest things like clove oil, solarcaine, and oragel, but in the end we narrowed it down to 5 wonderful tips. 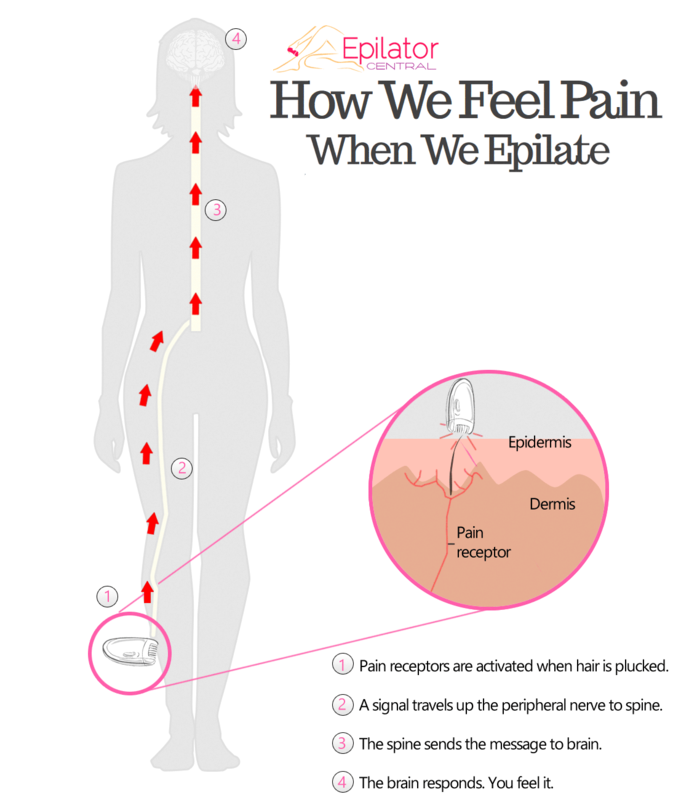 We also put together a chart where epilation hurts the most. Before we go on, I just want to quickly talk about why we feel pain. I don’t want to get too scientific here or else I might fall asleep while writing this. Pain is actually a protective mechanism. When you pluck hair at the root, the pain receptors send a pain message directly to the spinal cord. The spinal cord carries this message to the brain and you feel it. All of the major brands claim epilating under water is much more comfortable. I think I read somewhere that warm water helps the body produce natural pain relieving substances. 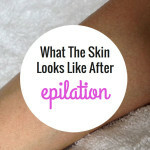 I have never been a fan of wet epilation because while it did reduce pain, it didn’t work as well as dry epilation. 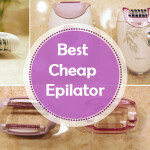 When epilating in the shower, the epilator only plucked 40% of the hair because the hair was sticking to my skin. I thought it would work better, but it just made my shower longer. 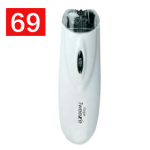 Besides, I had to pluck the remaining hair using dry epilation. While it was less painful in the shower, it seemed to draw the whole process out. For me, using it the shower is just not the way to go. Maybe there was a better way to use it. Guess what? I finally figured how to epilate wet and it works pretty well. 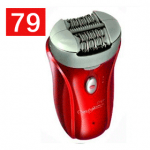 You don’t want to stand under running shower water but either want to epilate in a soaking bath or with a foaming shaving cream that suspends the hair so that the epilator can pick the hair up. I’ll demonstrate the process on my arms. 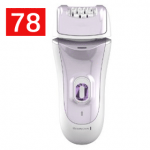 The first thing you need is an epilator with a Wet & Dry feature. 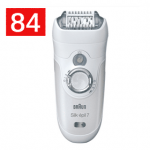 Most brands make a wet and dry epilator including Braun, Panasonic, Emjoi, Remington, and Epilady. I like to lightly exfoliate my skin right before I epilate. Most people recommend exfoliating the day before. I think spa gloves work extremely well because you can use them anywhere. Lather on your favorite foaming cream or gel on your skin. 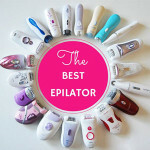 Don’t forget to bob some on the head of the epilator. 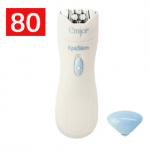 Now slowly move the epilator across your skin int the opposite direction of the growth. You will feel tiny pinpricks as the hair gets picked up. It does take longer to epilate than to shave. Make several passes against the growth until you no longer feel the prickly sensation. Once you are done, rinse off the cream and check for any areas you have missed. If you find any hair that you missed, just epilate over those areas. I was actually surprised how well this reduced pain. I would say it was at least by 30% to 40%. It won’t give you as thorough results, but for beginners this might be the way to go. It’s really an efficency vs. pain tradeoff. Wet epilation is so much gentler on the skin. 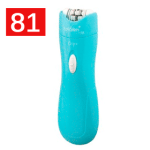 With dry epilation, I usually get red bumps after. With this method, though my skin was slightly red after, I didn’t get any red bumps and the redness on the skin cleared up much faster. On the legs, use one hand to pull the skin taut downward in the opposite direction you are epilating. Then use you other hand to epilate upwards. Using both hands in opposite directions to pull the skin brings the follicles close to the skin, making it not only easier to epilate but much less painful. Pulling the skin as tight as possible around the area to epilate makes the pain much less intense. I actually discovered this method by researching how pain works. The pain receptors are below the skin. What if we squeeze them? The idea is to take your thumb and index finger and squeeze a portion of the area you are epilating between them. You have to be sure to catch a bit of skin between your fingers so it stretches out the area at the top. Then squeeze tightly below the skin raising the section up. 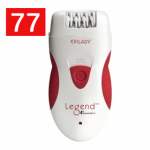 Gently epilate the hairs that stand up. I was surprised this absolutely works. You can try it even with a tweezer. I was even able to epilate my underarm area without too much discomfort. It would probably work for other difficult areas as well. Because you are pressing under the skin where the pain receptors are, I think it disrupts the pain signal sent to the spinal cord up to the brain. Leave a comment if you have tried this. I am interested on whether it works for you. 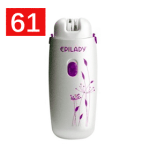 When I first started epilating, I went from shaving to epilating. It was difficult to get through the first time. A few days later, I braced myself for the worse but oddly it didn’t hurt as much. I think the reason the second time didn’t hurt as much was because I wasn’t epilating all the hair at once. That’s the biggest trick. If you have a low pain tolerance, I recommend waxing first. If the area is small enough, you can also tweeze the hair out. I find this makes a world of difference. When the hair starts to grow back, just start to epilate. 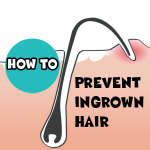 Not all the hair grows out at the same rate, so you will be removing less hair. This will help you build a tolerance. I read on somewhere that a lidocaine numbing cream reduces pain completely because it is used for tattoos and surgery. 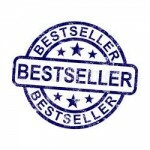 Elma is the best topical numbing cream but you need a prescription for that. It contains the same active ingredients as the numbing gel that your dentist uses. Even with that you still feel pain. Most over the counter topical numbing creams contain just Lidocaine. 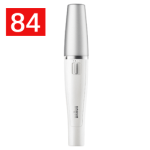 Elma contains 2.5% lidocaine and 2.5% Prilocaine. The highest OTC cream is Lidocaine 5%. Numbing creams are extremely expensive and I only really suggest using them on smaller areas that are extremely painful like the face, underarms, or back of the knees. I tried LMX cream which is a highly recommended brand. To test the cream, I applied it only on one side of the area to test the cream. I thoroughly applied a small amount of the cream into the pores of my skin for about 30 seconds. Then I caked on a very thick layer of cream with a wooden applicator. I then took an occlusive dressing and wrapped the area, making it completely air tight. I let it absorb for 45 minutes. I absolutely thought it was going to work very well because when I tapped both sides of my skin with a toothpick, I definitely couldn’t feel it as much as on the side I used the cream. First I tried epilating on the side with the cream, but was surprised that I could still feel it. Then I used it on the non numb side. It did hurt slightly more. I actually thought using a numbing cream would be a lot better given what I read. I am going to experiment more with this to see if I can reduce the pain more. While an OTC numbing cream will reduce pain, you will still absolutely positively feel it. I think the problem is that you need to numb the skin a few mm beneath the skin not just the top. An OTC numbing cream doesn’t offer the depth of penetration that you get from a numbing agent injected into the skin. Ultimately, I thought that the numbing cream reduced the pain but didn’t come close to eliminating it. I’d say it reduced the pain by 20%. 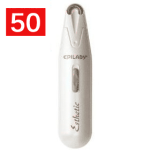 Take a painkiller 45 minutes before you epilate. Over the counter painkillers like Aspirin and Ibuporofen help minimize pain and inflammation. 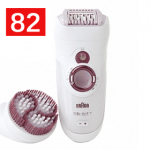 Taking a warm shower or bath helps relax the skin and softens the hair, making the epilator grab less on the hair. 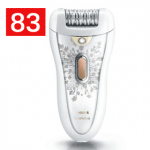 Exfoliating helps remove any dead skin that can make it harder for the epilator to grab the hair. When you exfoliate, it helps minimize the number of ingrown hairs. The hair will be easier to come out when the epilator pulls on it. Your skin is most sensitive when you are on your period. 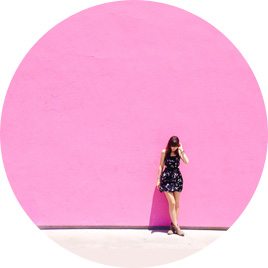 You should epilate a week or 2 after your period when your body is the least sensitive. Caffeine can make your skin more sensitive. Don’t drink coffee or coke on the day you epilate. Don’t tense up when you epilate. Even if you have to pretend you are pregnant, breathe when the hair is being pulled. Epilators work better on shorter hair. Trim the hair to about 1/8 inch long. Find something to distract you. The brain can only process so many different stimuli. If I know something is going to hurt like waxing, I like to cough just about when it is going to occur. Netflix works just as well. If skin is irritated after, use ice to calm any swelling. I’ve heard icing before constricts the skin, making it harder to pull on the hair. Aloe Vera makes a big difference after epilating. I like using it cold out of the refrigeration to help calm the skin down quickly after. Sometimes having someone there can help with the anxiety. It’s also easier to have someone else hold the area taut especially on certain areas of the body like the arms or underarms. 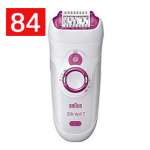 There you have it – That’s how to make epilation as painless as possible. I know it can be difficult in the beginning, but after awhile your body will get used to epilating and it will be just like plucking your eyebrows. 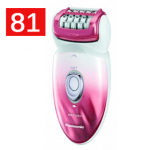 How do you reduce epilation pain? Do you have something to share? Your comments are always welcomed below. I bite on a cotton cloth when I epilate. Also keep tissue handy in the case of armpits. 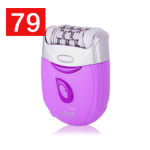 Wipe skin off all the moist before dry epilation. 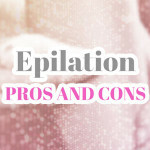 Best way to reduce epilation pain is to epilate every once in a week. That way the number of hair gets pulled away will be lesser in number. Wow. Thanks for the info.. I actually used the “squeeze” method the first time I eppitated my bikini area and it absolutely worked. I had tried a few days before and it was an epic fail, but when I tried again a few days later I stumbled across this method by accident and have been using it ever since.